Happy Birthday to my fantastic son, Alex! 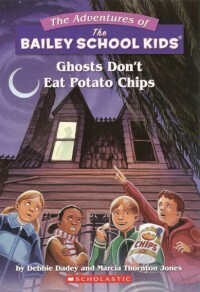 Vanessa, I'm glad you like Ghosts Don't Eat Potato Chips. Did you know it took us two years to write that story? 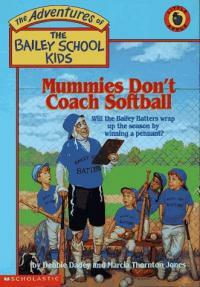 Adam, it'd be fun to write more Bailey School Kids books. Do you think we should? Alex, you can write to Marcia directly at this address: Scholastic 557 Broadway NY, NYT 10012. 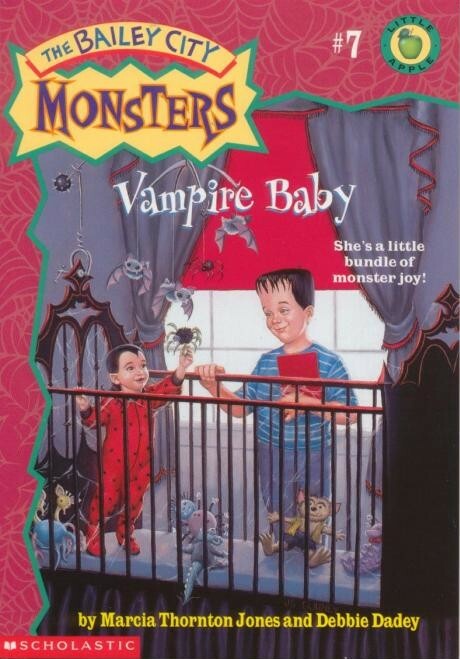 I think the toy animals on the cover of Vampire Baby are baby vampire bats, giraffe dragons, vampire bears, vampire caterpillars, and vampire slugs! Did you know that the artist, John Steven Gurney, used his daughter as the model for the vampire baby? The Swamp Page has a fun section where you can see other models John used for the Bailey School and Bailey City characters. Hope you are having a great day. I'm a little nervous right now because my daughter just got her license and she borrowed my car! Yikes!! Allie, I get inspiration from everywhere, including my kids. My youngest son thought a skateboarding book would be fun. What do you guys think? 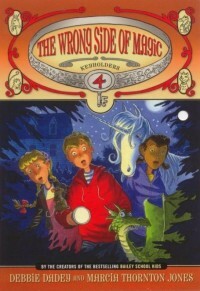 My next books will be Inside the Magic and The Wrong Side of Magic. They both come out in November as part of the Keyholder series. Happy Birthday Brittany and Bryleigh (aka Mrs. Jeepers)! Brittany, I hope you had fun at the school dance. I hope you aren't boy crazy. It's fun to dance-even if boys aren't into dancing at your school. I had to drag my husband to dance lessons and now he's a fabulous dancer (much better than me). I have to tell you-you will always be your dad's baby even when you are ninety years old. It's because he loves you that he tries to protect you from harm. There are a lot of bad people in this world, so please try to understand that he wants you safe more than anything. Hi, Bryleigh-you can ask your local bookstore to order the books for you or order through the book section of my website (your parents, of course). 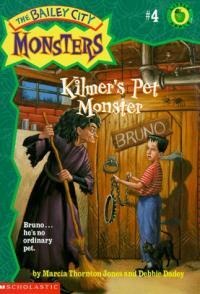 Alex, this just in from Marcia (to answer your question): Bruno is big. And hairy. And growly. But in a friendly way. He's like the loch ness monster...one of a kind and never before seen. Unfortunately, he's very frisky and doesn't know his own strength. That's why it's best if he's kept chained up in the basement. Wouldn't want him loping up to some poor unsuspecting kid and knocking him down, then nearly drowning him with the slobber that constantly drips from his fangs. 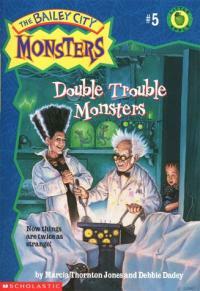 As for the sheets (in Double Trouble Monster), the kids are pretty sure it's double monsters, and to be perfectly honest, that's what I think they are, too! What to appear in a magazine? You could be in Storyworks magazine. All you have to do is read a book (one of mine, I hope), write 1-2 paragraphs about what you liked about it and a few details about what happened, send in your photo and you could be in Scholastic's Storyworks next issue. Sign your name at the bottom of the review and send it to REVIEWS BY YOU Storyworks PO Box 712 New York, NY 10013-0712. (Remember to include your name, age, teacher's name, school's name and address, and school's phone number.) Good luck! Hi Eddie (love your name!) and hello to Mrs. Ciarlegliois and the rest of your class. Of course, I'd love to visit your school. Chyna (cool name too), thanks for writing-it'd be great to visit Dobbs. Ask your teachers or librarians to drop me a note on my events page and we'll work it out. Good bye summer! Fall is officially here now and the trees around where I live are starting to change to crimson red, oranges, and yellow. I love it! It's perfect soccer weather and for driving my convertable with the top down! All my life I wanted a red car and last Christmas I got one. How fun is that! Kaylee, I'm so glad you like my Super Specials. 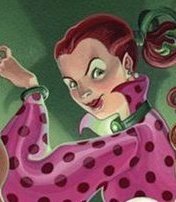 Did you know Marcia Jones and I based Mrs. Jeepers on a teacher we knew? She had beautiful red hair and spoke with an accent. Help! My agent told me she thought my silly book was great fun, but that it had too much action and too many characters. What to do? I've been trying to rewrite it, but I'm having trouble. Has this ever happened to you? I'm going to keep trying though. Check out Mrs. Zork's new drawing pages. I'm always amazed by people who can draw. Mrs. Zork makes it easy and shows you how to draw all sorts of things, including werewolves, martians, bats, and planes. 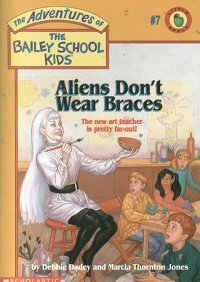 If you've read Aliens Don't Wear Braces, then you know exactly who Mrs. Zork is. If you haven't, I hope you'll try it out. I wore braces for four years as an adult (so sometimes I felt like an alien). My parents couldn't really afford braces for me when I was a kid, so I got them after I started teaching. 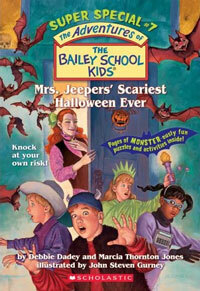 After you have checked out Mrs. Zork's drawing page, I hope you'll look at the Bailey School Kids magazine, Dracula. (it should be up soon, if not already. My wonderful webmaster, Maryjo, put it up. This summer I read the original Dracula by Bram Stoker. 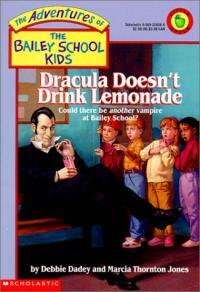 It was creepy, but I must admit I like Dracula Doesn't Drink Lemonade better!